If you are a regular reader then you may know that I was brought up by my Dad. I have never been close to my Mother and I don't think I ever will be either. 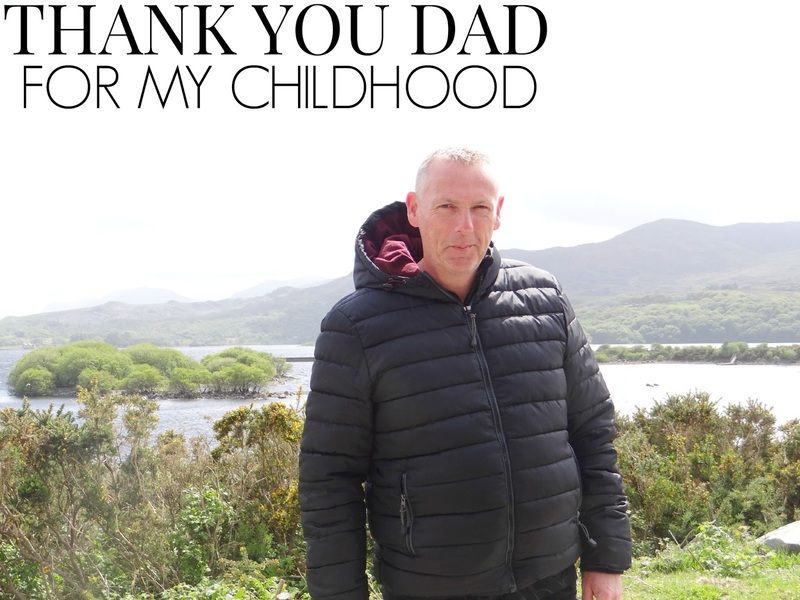 My Dad did many things for me and my brother throughout my childhood. I can't thank him enough. for giving up your night/full time job, just to take care of me and my brother. for taking us on a train to go swimming every Saturday, I loved it! for giving me everything that you could. for telling me to stick at college, when I wanted to quit in the first 3 months. for bring my birthing partner with my first child. for helping me through my first pregnancy. for buying everything for my first born, whilst I was pregnant. for giving us the best Christmases and birthdays. for taking me out for long days outs. for making me who I am today. for all the great memories. There are so many things I would like to thank my Dad for, but I would be here all day, maybe all week writing this post. I'm sure my Dad did find it pretty hard raising a girl up, as he was a single Dad. What do men know about girls? He didn't know about make up, periods, first bras, girls clothes and hair do's. But he tried and he succeeded. I couldn't of asked for a better Dad. What a lovely post and tribute to your Dad! Dads are awesome, too and definitely deserve to have some recognition (it isn't just us moms).